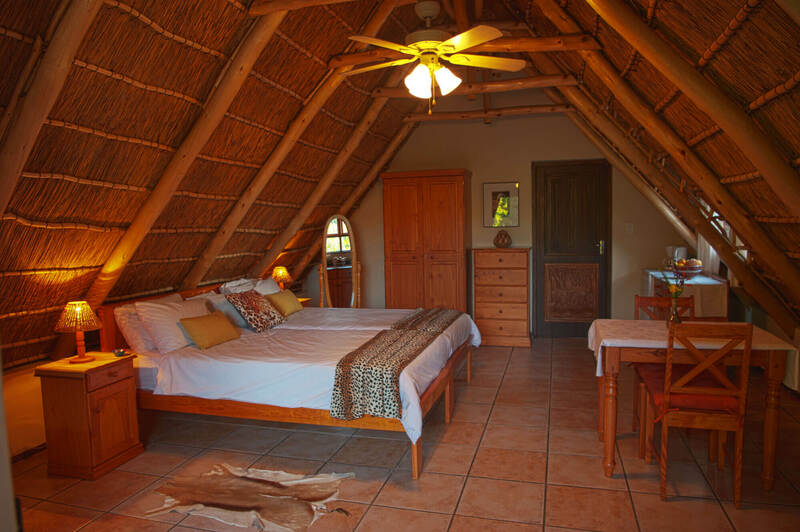 Leopard is a romantic double bedroom on the upper level with an exposed thatch roof. 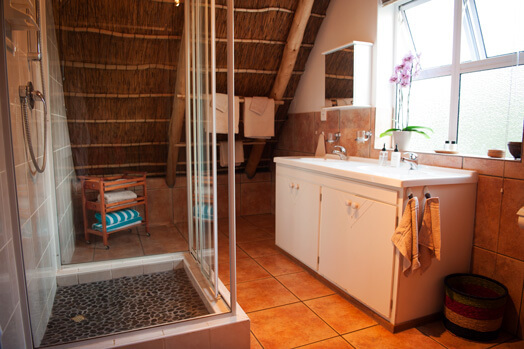 This comfortable room has two twin beds, and an ensuite bathroom with shower and a double basin. 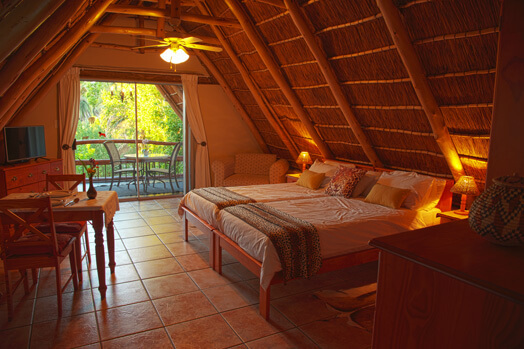 A pull-out bed can accommodate a younger family member. 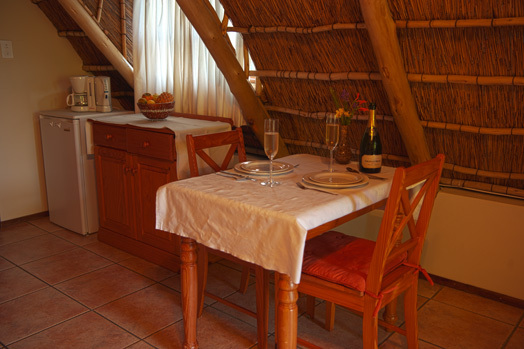 There is a kitchenette with fridge, kettle, coffee maker and some cutlery and crockery. 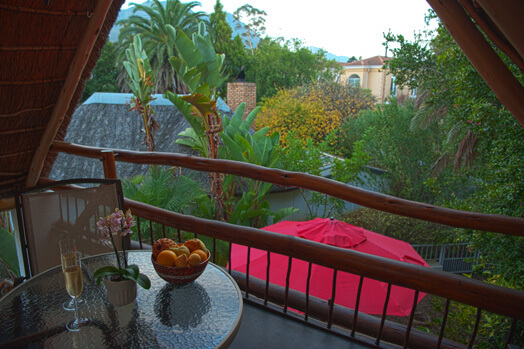 A spacious covered balcony provides a stunning view of the Helderberg Mountains.